Are YOU in for a great surprise. 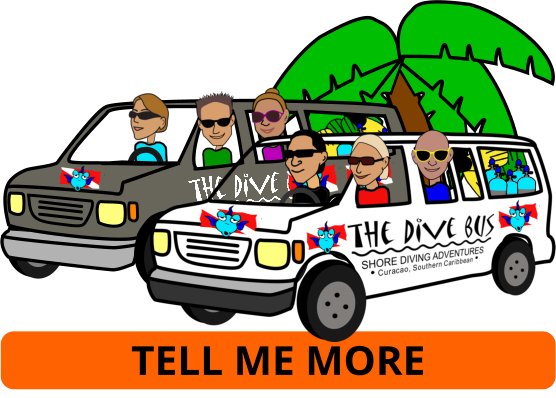 In fact, we love this dive site so much that we adopted it through Project AWARE’s Adopt a Dive site Program. 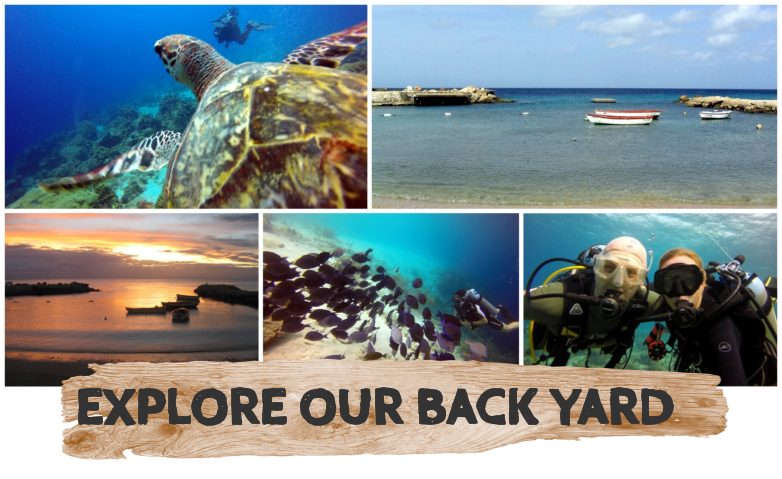 If you’re taking a PADI dive course, arriving in Curacao on a cruise ship or making any guided dives with us, you'll be exploring our stunning house reef - home to not one but two of the best and most popular shore diving sites in Curacao (Pierbaai Reef; Car Pile), no more than two minutes' easy swim out from the beach. Years ago when we first found the reef, it was covered with trash and tyres strangling the corals and killing the marine life. After countless clean up dives, the reef is clean, healthy and teeming with marine life. It’s the perfect place to get your weighting correct, check out your equipment, get comfortable underwater again and, basically, get your dive vacation well and truly started. Plus if you’re missing anything or want to treat yourself to new dive equipment, everything you need is right on site.